The New Orleans Saints were able to take out defending Super Bowl champs, the Philadelphia Eagles. UNITED STATES—Another weekend, another day of some fun television for sports fanatics. At the top of the discussion is the fact that a #1 seed (Kansas City Chiefs) is battling a #2 seed (New England Patriots) for the AFC Championship Game on Sunday, January 20. I will be honest, I was secretly and I mean secretly praying that the Los Angeles Chargers found a way to come back from that deficient to take out the Patriots. Look, Tom Brady is a great quarterback, but are you aware that for the past 8 years the Patriots have made it to the NFC Championship Game. As a fan of the NFL, I don’t want to see the same sports team in the big game year after year after year. It becomes boring and predictable. However, the Patriots are NOT battling on their home turf and the Chiefs aren’t a team to mess around with. This will be a fun game to watch and fingers crossed the Chiefs force Brady and the Patriots to fight for their lives. The game between the Indianapolis Colts and the Chiefs was not as exciting as one hoped. It looked like the Chiefs had that game form the start, so I was way more intrigued watching the battle between the Los Angeles Rams and Dallas Cowboys. I mean that was a damn close game, and the Cowboys were very close to an upset. However, the Rams managed to pull out the victory. The same sentiment could be echoed in what I considered the best game of the week: the New Orleans Saints versus the Philadelphia Eagles. I mean the Eagles were just running circles around the Saints during the first half. I mean they were up 13-0 in the first quarter. My heart was racing, the defending Super Bowl champs are about to make a run to return to the Super Bowl and perhaps battle the Patriots yet again for the ultimate prize. 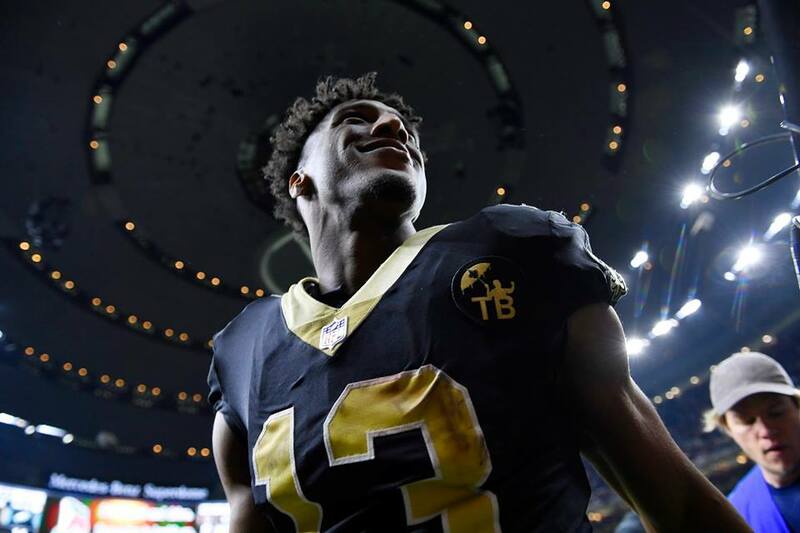 Some way, somehow Drew Brees and Michael Thomas made magic transpire to garner the lead in the third quarter and never looked back. Things got very close, and I mean very close in the fourth quarter after the Saints missed a field goal attempt that would have turned things into a situation where the nail would have been placed in the coffin for the Eagles. This worked in the Eagles advantage, but an interception would put the nail in the coffin for the defending champs. So while so many are eager for the Chiefs and Patriots battle, I cannot wait for the battle against the Rams and the Saints. I mean these are the TWO best teams in the league right now if you ask me and the fact that ONE of them will not make it to the biggest spectacle in football is frustrating, but exhilarating at the same time. January 20 is going to be a fun weekend NFL lovers, and when the dust settles we’ll know how is battling in the Super Bowl. I’m hoping to see the Kansas City Chiefs go to war with the New Orleans Saints. We shall see how it all pans out.